It’s no secret that carbon emissions are destroying the Earth. However, ill-fated attempts to combat the growing issue may be coming to an end, as electric car consumerism continues to grow rapidly. Just within Canterbury alone we are seeing the encouragement of electric car use, with the installation of car charging points across the city. But is this enough to reduce greenhouse gas emissions? Are electric cars better for the environment than diesel? Electric cars don’t emit exhaust fumes, however, the batteries they use do emit toxic fumes and the batteries themselves aren’t entirely disposable. Li-ion batteries – the batteries used to operate the cars – are the same batteries are the same used to power phones, toothbrushes, tablets and most portable electrical items. How many people drive them? Figures of electric car consumerism 2018-19. Source: Society of Motor Manufacturers and Traders. What types of electric cars are there? 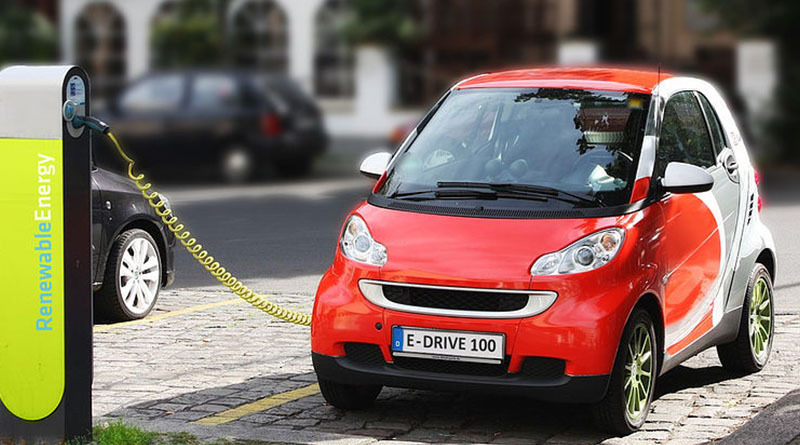 There are two main types of electric car, the difference between each is classed by the degree that electricity is used as their main energy source. The most popular type of electric car is Battery Electric Vehicles, which are fully electric with rechargeable batteries. Their battery power is used to run the electric motor and all on-board electronics. They don’t emit any harmful emissions and hazards like their petrol and diesel counterparts. The other type of car is Hybrid Electric Vehicles, which are powered by both gasoline and electricity. The electric energy is generated by the car’s braking system to recharge the battery. They start off using the electric motor, then the gasoline engine cuts in the car moves faster. This option has an exhaust, so is less environmentally friendly than the Battery Electric Vehicle. Will Hybrid Electric Vehicles be exempt from the 2040 ban? There is a lot of controversy around Hybrid cars being exempt from the ban, as they do technically emit carbon. But they don’t emit the gas on as much of a larger scale than cars powered by petrol and diesel. The Campaign for Better Transport were disappointed by this decision, and described it as “a step backwards, giving concessions to keeping hybrids on the road, which will water down the already inadequate 2040 target.” However, some argue that whilst zero carbon emissions would be ideal, it wouldn’t be realistic for a country that have been emitting fossil fuels for centuries. The introduction of lower-emission vehicles is said to be enough to hit the UK’s carbon emission target. 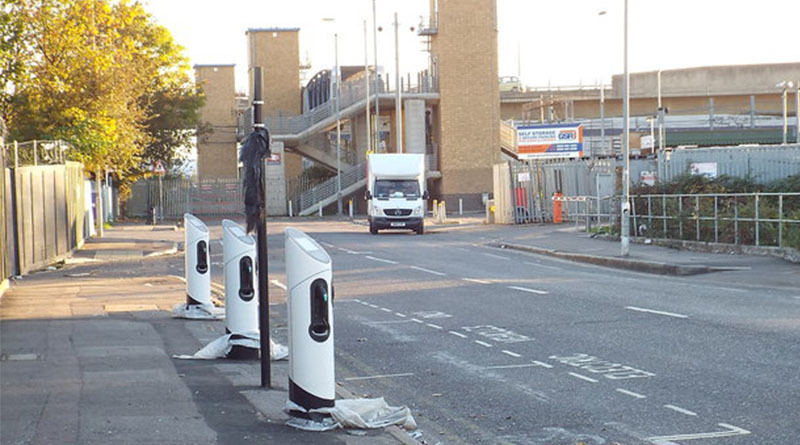 Car charging points in Dagenham. Source: Malc Mcdonald. What will happen to petrol and diesel cars after 2040? The UK government has made a commitment to end the sales of all new petrol and diesel cars by 2040, in an attempt to reduce the amount of them on the roads, pumping greenhouse gases into the atmosphere. It is unrealistic to completely eradicate all petrol and diesel cars by 2040. But the overall goal is that nearly every car and van on UK roads to be zero emission by 2050. How will the National Grid be able to cope with demands? The National Grid currently has enough energy to support an entire nation of people driving electric cars. However, charging them all simultaneously is what seems to be problematic. If drivers charged their vehicles at the same time in the evening, the grid itself may not be able to cope with the demands, and could possibly glitch. Electric cars may not be the answer to our problems, but they do offer much greener options – the main reason being that they don’t emit carbon through exhaust pipes directly into the atmosphere. Batteries required for the cars do indirectly harm the planet, but not on a wider scale than chemicals being pumped directly from exhaust pipes into the atmosphere.